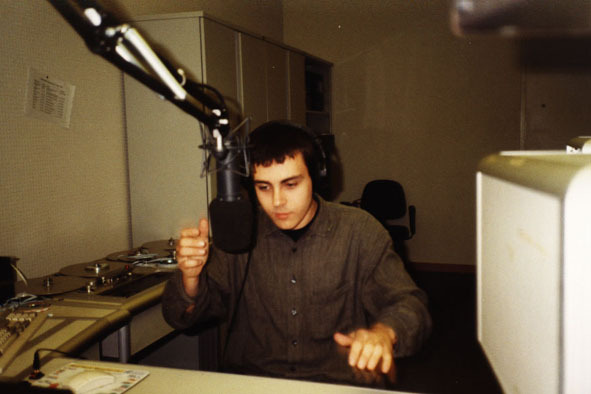 In the broadcasting studio of Radio Duisburg. 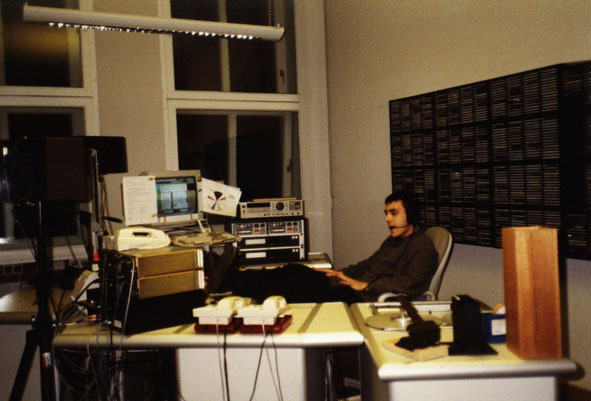 In the B studio (the production studio) of Radio Duisburg. 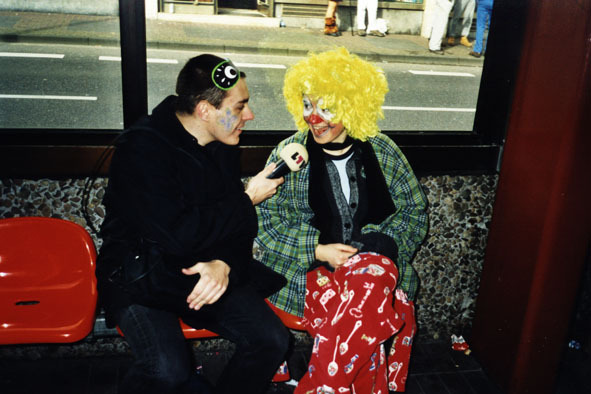 As a Reporter for L1VE (Eins Live) during the carnival in Köln 2000. I made an article how international students experience the experience "Karneval in Kölle" (carnival in Cologne).